Ongoing conflict in Yemen is forcing many families to flee their homes. 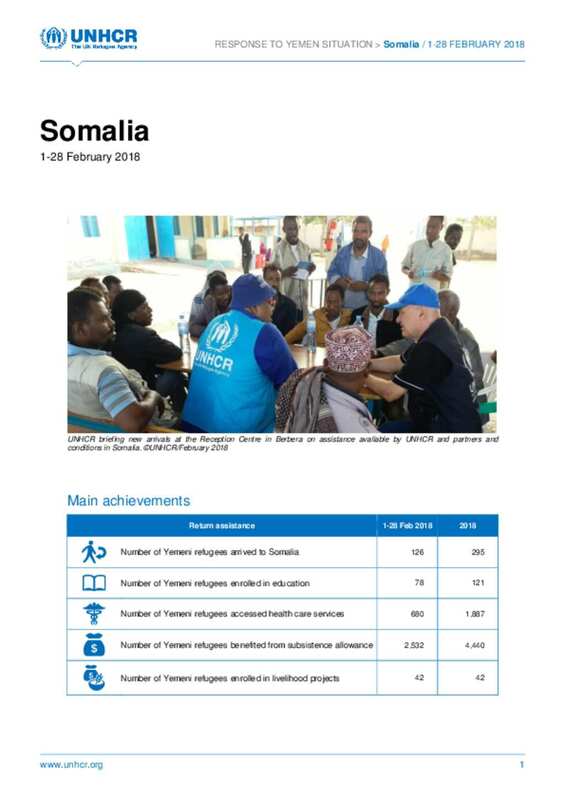 As of 28 February, UNHCR supported over 6,200 Yemeni refugees who have arrived to Somalia with protection assistance. Protection assistance for Yemeni refugees includes: access to territory; registration and documentation; education; health; livelihood and self-reliance; cash-based interventions and provision of core relief items; legal support; sexual and gender-based violence (SGBV) prevention and response; peaceful coexistence and community-based protection.